I recently bought the Nars All Day Luminous Weightless Foundation as I love Nars Sheerglow and will never turn down the opportunity to try a new foundation! I'm not 100% sure how I feel about it yet, it is full coverage but it would probably be better on skin that isn't as dry, I also struggled working out how to apply it but I will keep trying to work out the best way to apply it. I then use my Nars Radiant Creamy Concealer both under my eyes and on blemishes, I blend it in with my Beauty Blender which makes sure it blends seamlessly. To set my makeup I use the Charlotte Tilbury Airbrush Flawless Flawless Finish Powder, this lasts for absolutely ages and makes my skin look flawless! I then move on to my brows, Anastasia Brow Wiz is my favourite brow products, it's great if you want either a dramatic or more subtle brow and then to set my unruly brows I use the Benefit Gimme Brow. On my eyes I start with the Maybelline Colour Tattoo Creamy Beige, this was a recent purchase as I was after an eyeshadow base that was matte. I then use my Urban Decay Naked 3 Palette, I start with Limit in the crease and then add Buzz on the outer corner corner of the eye before blending. I think the Naked 3 palette is my favourite out of the two Naked palettes I own, it works really well with blue eyes and I love the rose gold tones. I then add a thin lines of the Soap and Glory Supercat Eyeliner which is my favourite liquid liner for both winged liner and just adding a subtle line! I then finish my eyes with the new Benefit Roller Lash Mascara, I wasn't a massive fan of the They're Real Mascara but I really love this one, it adds both volume and length to the lashes without being clumpy or making lashes look spidery! 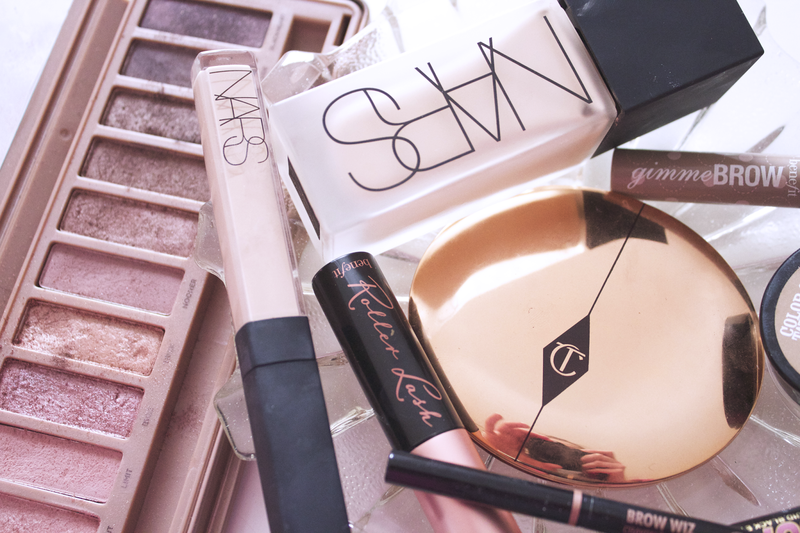 I love your everyday make-up. I really want the colour tattoo in creamy beige, but somehow I always get distracted by the brighter colors. I've been after that Maybelline colour tattoo for ages, it sounds gorgeous. 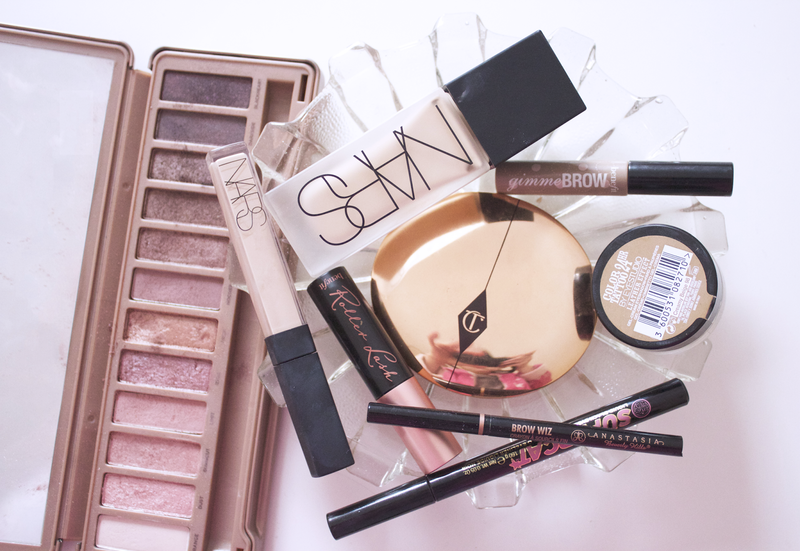 I really really want to try the brow wiz, everyone talks so highly about it.